Remember my post about Tap Sonic early this year? If you are not familiar with it, Tap Sonic is a music game on iOs, similar to Tap Tap but the songs are mostly original songs and its by Pentavision which is the game maker of DJMax which is a music game on PSP and arcade. 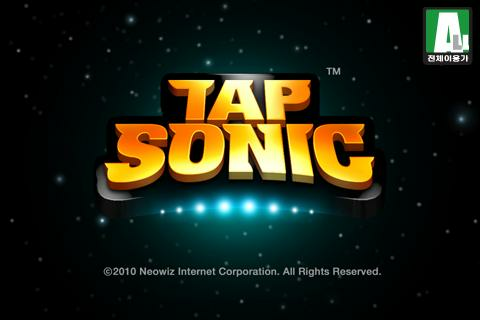 According to Tap Sonic’s Facebook Page, the Korean version of Tap Sonic will be available by May 2011 which means Android users will get it really soon. I dont know if it will only appear in Korean Android Market or available globally. Reading the official comment on the facebook page suggest that Korean Android users will get it first, and the other country will get after the release of Tap Sonic iOS version outside of Korea. While Tap Sonic is only available in korean itunes appstore, US and Japan iOS users rejoice! The game will be available in US and Japan iTunes Appstore later this year. No specific date is announced yet but I think Neowin wont keep gamers waiting for long. While Tap Sonic features a lot of K-POP songs, there is no words of if these songs will make it to the global release of the game due to licencing issue. But they are certainly have the plan to include all songs in all the game release and we hope they can figure it out. More DJ Max Songs will be featured in Tap Sonic soon and no pricing scheme announced yet. There will be more updates on this blog as they had been announced. I myself really look forward to play this on my Android device!